Function Before Fitness: Why Does It Matter? One ex ercise I often see people doing wrong is the squat. By far one of the best exercises and a fundamental movement pattern that everyone should be able to do. But, if you can’t squat properly with the chest up, knees out wide, and weight back on the heels, then you really shouldn’t be adding weight to it. Something here is wrong and continuing to add weight to a dysfunctional movement pattern will compound the problem a lot quicker then correcting and then building up from scratch. Have you ever suffered from an injury? Did you properly rehabilitate to regain natural function? And, I’m not just talking about until the pain subsided. Following each injury and any stimulus of pain, it is common for our movement patterns to be altered. This matters because so often people endure injuries where they limp, compensate, or favor the affected side and changes occur which will increase the likelihood of future injury. This should be taken into consideration for any exercise goer who had/has pain and continues to exercise without properly addressing the issue. So, what am I trying to get at? Function far outweighs fitness when comes to proper movement. If you haven’t had a chance to be assessed, it is well worth the money. And, if you are returning from an injury or currently have pain, make sure you go through a full rehabilitation program aimed not only at decreasing your pain and symptoms, but fixing the underlying cause and addressing any compensation which resulted. All of this is just like building a house. You’d obviously want a solid foundation laid down before adding all the extras. 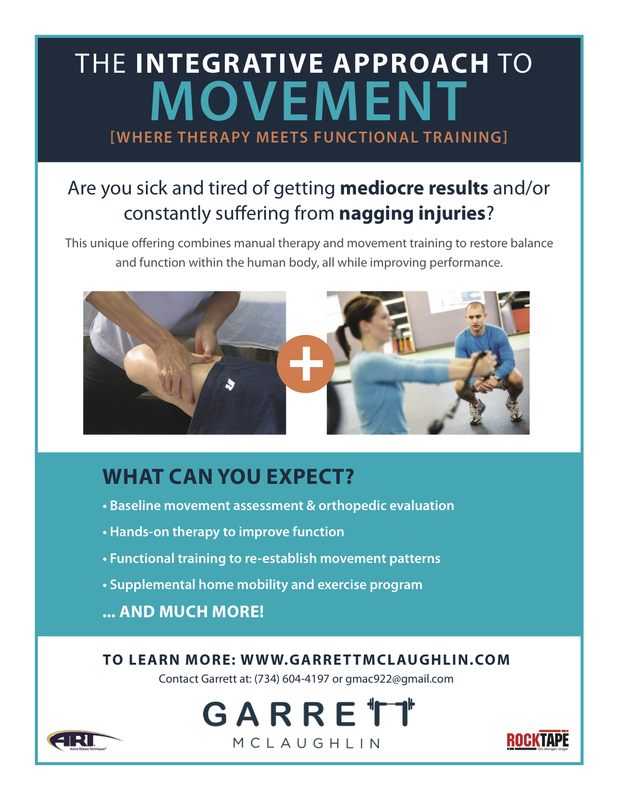 Contact myself if you are interested in completing a movement screen or would like to be directed to the appropriate professional in your area.